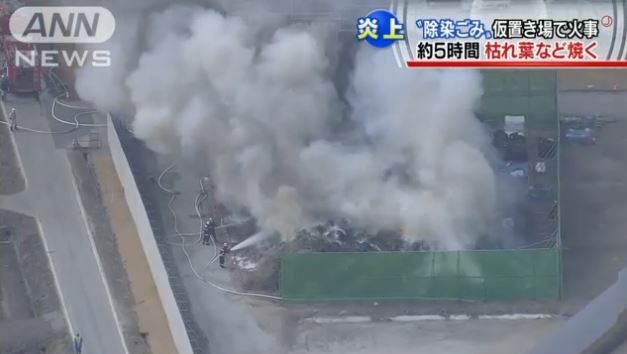 Loose branches and dead grass being prepared to be loaded into the iconic black bags used for nuclear soil and debris storage caught fire in Namie Fukushima. 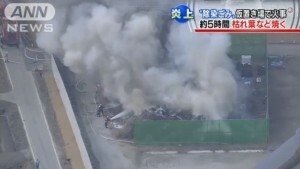 The fire burned for 5 hours on March 5th before fire fighters were able to put it out. The fire can be seen in the ANN video burning in close proximity to the large piles of black bags. No information about radiation levels or how much radiation was released in the fire was available at this time.